Let us professionally box your bike! Not feeling comfortable boxing your prized possession yourself? We don't blame you... boxing a bike is a fine mix of science, tetris, and having the right packing supplies. 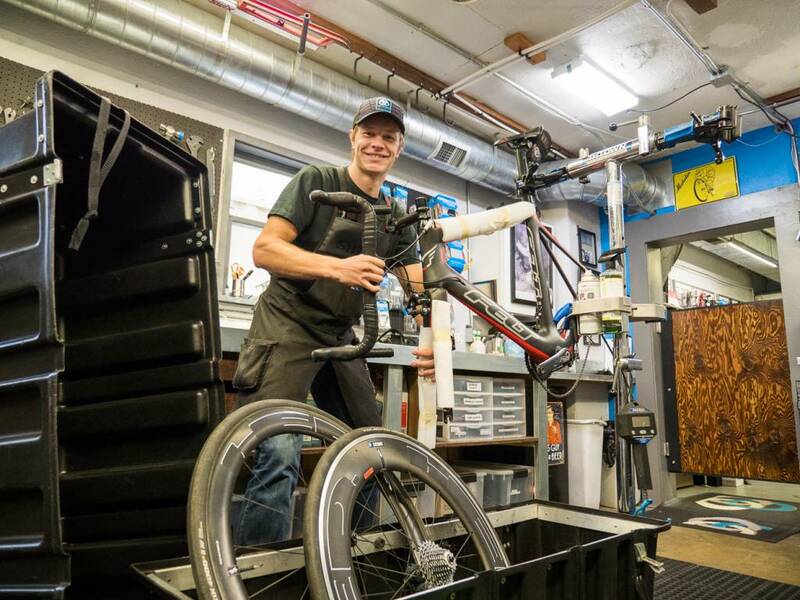 We are absolute experts at boxing bikes, and will take all necessary precautions to help ensure your bike arrives at its destination in perfect shape. Fee includes cardboard shipping box (if necessary), packing supplies and all labor. THE SMALL PRINT: We take a lot of pride in our ability to professionally box bikes, and use industry-best methods when packing your bike. But the reality is that something can still happen to your bike in transit. 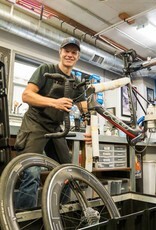 We can't control what a baggage handler does to your bike once it's out of our store. Many airlines open bike boxes and inspect the contents, often rearranging the way we packed your bike. How they put it back together is anyone's guess. When traveling, there is always a chance that your bike can be damaged in transit. We're very sorry if this happens, but please contact your airline or shipping service provider if this happens. Thanks to Antonio Gonzalez and Tri Town, both of our mountain bikes survived FOUR flights literally half way around the world.